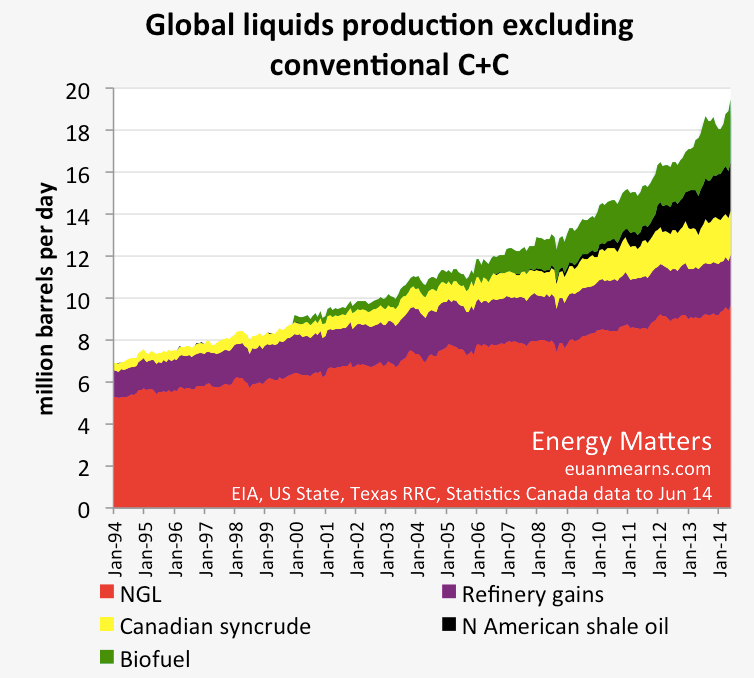 Has Shale Killed Peak Oil? Climate change has a certain unbearable logic. While temperature may oscillate around a trend, the trend remains. Moreover, to steepen or shallow the trend will take decades, or, indeed, centuries. Broadly, what you predict with climate change is mostly what you get. 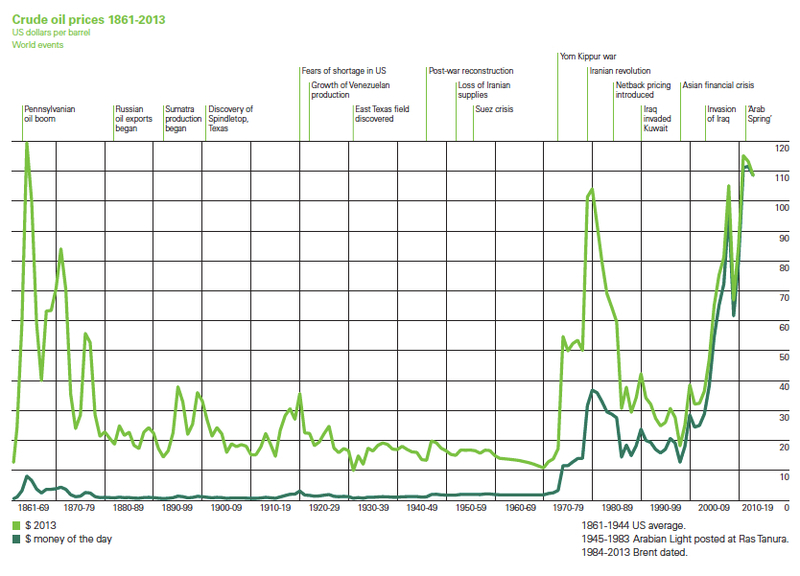 Peak oil is a different beast. We are not sure when it will become a pressing problem, if indeed it ever will given the possibility that technology will allow us to transcend to a non-oil world. The sheer intensity of the drop suggests that it isn’t a function of demand. Unlike the fall in 2008, we aren’t witnessing a financial crash. The world economy may lack some puff, but it is still growing. So is this supply? And if so, it this the death of peak oil? To answer this question, we first have to understand what we mean by peak oil. To do this, I prefer to go back and read what some key peak oil theorists have actually said. On this particular occasion, I don’t think it particularly useful to reread the dead M. King Hubbert, the father of peak oil theory, since he died long ago (1989 to be exact). Better to read the more eloquent advocates of what I call Peak Oil 2.0: Colin Campbell and Jean Laherrere. The world is not running out of oil―at least not yet. What out society does face, and soon, is the end of the abundant and cheap oil on which all industrial nations depend. They were also perfectly aware of unconventional oil. …. economists like to point out that the world contains enormous caches of unconventional oil that can substitute for crude oil as a soon as the price rises high enough to make them profitable………Theoretically, these unconventional oil reserves could quench the world’s thirst for liquid fuels as conventional oil passes its prime. The world could thus see radical increases in oil prices. That alone might be sufficient to curb demand, flattening production for perhaps 10 years……But by 2010 or so, many Middle Eastern nations will themselves be past the midpoint. World production will then have to fall. So we can extract three predictions. First, a steep rise in price will occur that is accompanied by a flatlining in production of conventional oil. Second, unconventional oil will be produced but not in sufficient quantities and at the right price to compensate for the collapse in conventional oil production growth. Third, eventually, and regardless of price, world oil production will fall. In terms of calling the bottom of the market, Campbell and Laherrere were stunningly successful. 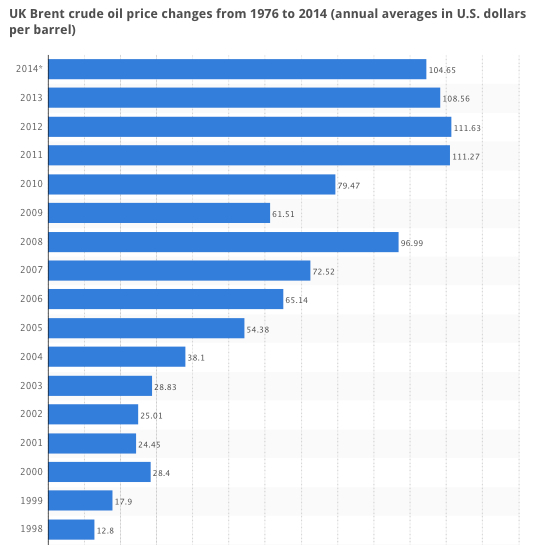 The average oil price in 1998 for Brent crude was $12.8. Over the last four years, we have been averaging over $100 (click for larger image; source: here). These are nominal prices that don’t take account of inflation. 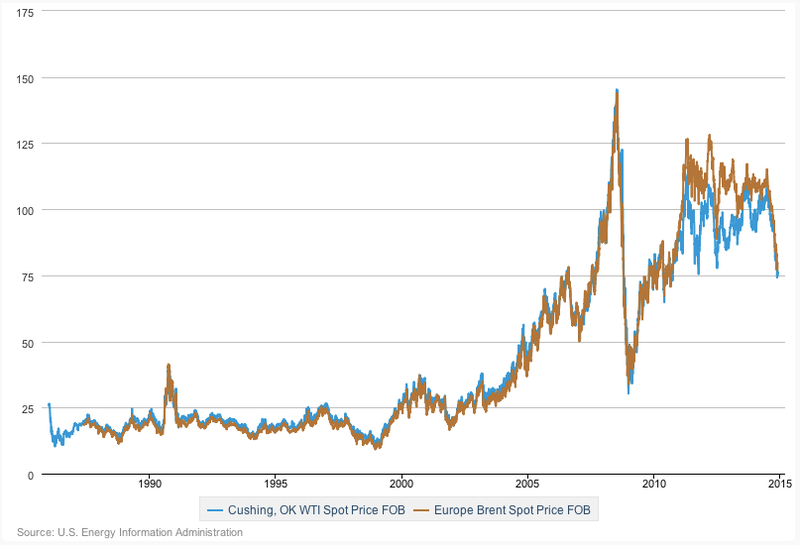 Still, even if we adjust for inflation, the jump in oil prices has been impressive. In 2013/14 dollars, the oil price in the late 1990s would have been around $25 to $30; so in real terms, we have seen a three- to four-fold increase. Apart from the two price spikes of the 1970s, the surge has been unprecedented. Moreover, even if we take the current price of Brent oil after the slump of the last few months ($72 as of writing), the appreciation is two- to three-fold. As for a flatlining in conventional oil, Campbell and Laherrere have been pretty good on that prediction too. Since 2005, we have been moving along a bumpy plateau (the blue section). Chart below is taken from Eaun Mearns blog here. Where Campbell and Laherrere have been wrong is with respect to unconventional oil. This category has been powering ahead, although not, until recently, at a sufficient pace to hold down price. Nonetheless, unconventional volumes have risen sufficiently to keep total aggregate liquids on the rise as well. Using this statement as a yardstick, peak oil gets a straight “A”. Unconventional oil has been forthcoming but not at sufficient volumes and lower enough cost to push down the oil price back to the kind of levels seen in the 1990s. Indeed, up until a few months ago, unconventional was hardly moving the needle in terms of price. But has everything now changed following the oil price plunge as much of the media would suggest? Note, what was so unusual about the recent period of high oil prices was that such prices were sustained over a prolonged period: 2011, average of $111 per barrel for Brent crude, 2012, $111; 2013, $109; 2014, likely to average around $100. 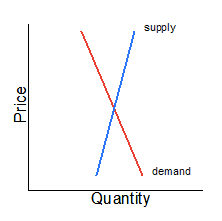 Oil has a notoriously inelastic supply and demand curves (they are steep on the chart), so you don’t need supply or demand to move much to get a major shift in price over the short term.But over the longer term, the supply curve is supposed to be more elastic. At the right price, technology and innovation should pour into the sector and push the supply curve to the right. This didn’t happen. Or rather it didn’t happen for a long time, but just possibly it is happening now. But we don’t really know if what we are seeing over the last couple of months is a short-term or long-term phenomenon. You can get to where we are now with the short-term curves alone. Push the demand a little bit to the left due to a slowing Chinese economy, and the supply a bit to the right due to oil from a few troubled regions coming back on stream and, hey presto, price plummets. But I repeat: peak oil is a story about long-term supply and demand, and long-term elasticities. Over the short term, whether you pump oil depends on your marginal cost and the price per barrel. Whether you have invested $10 million, $100 million or $1 billion in a particular oil field makes no difference as to whether you pump the oil or not—the investment is a sunk cost. The “pump or not to pump decision” has no relation to the investment in existing operating kit; you will produce if the cost of producing one barrel of oil (operation and maintenance) is below the price of a barrel of oil. 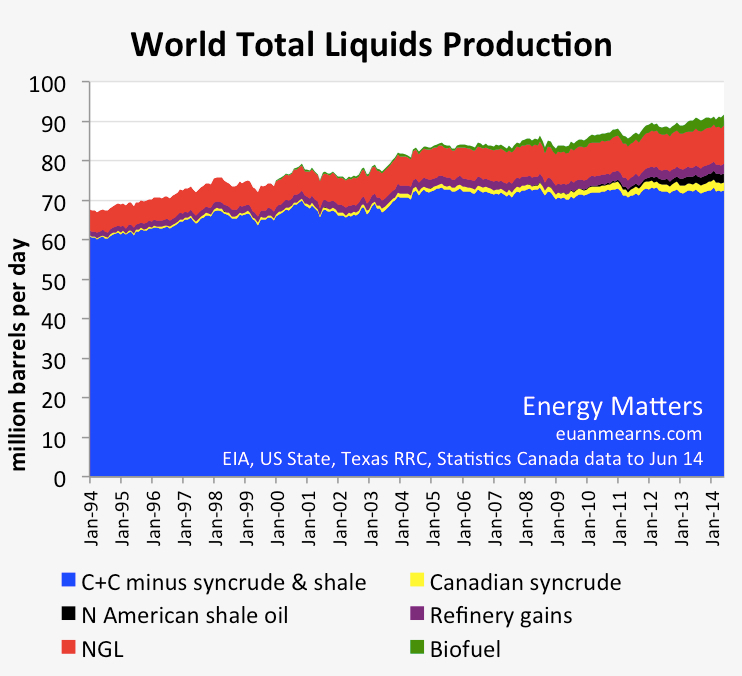 Accordingly, when you see media reports that some shale oil fields are still profitable at $40 per barrel this has absolutely no relevance whatsoever to the veracity of the peak oil claim. The question to be asked is would you invest in new shale fields at $40, $50 or $60 per barrel? Peak oil, in effect, says the long-term supply of oil is inelastic, not just the short term. Consequently, for new unconventional oil sources like shale to dispose of the peak oil thesis, they must come to market such that the return on investment including the maintenance and operating costs plus the opportunity cost of what your money could be earning elsewhere is considerably below the oil price level witnessed in recent years. Will shale win this argument? Possibly (although I think not). The predictions made by Campbell and Laherrere have held up pretty well because the two said that the oil price would rise and then stay high for year after year—it did. For Campbell and Laherrere to be proved wrong, the oil price must fall and then stay low for year after year. Let’s see what happens in 2015.